I’m not embarrassed to admit, I’m an avid “Keeping up with the Kardashians fan.” I’ve watched every season and know every plot line. I realize my love of the show leaves a lot of people shaking their head, and I get it. I understand the backlash and oftentimes agree with the “shallow,” “materialistic” and “undeserving” labels constantly thrown at the fam. Nevertheless, the PR pro in me can still appreciate many of the strategic moves they’ve made to remain CONSTANTLY in the spotlight – whether it’s a controversial tweet or a perfectly staged photo opp. Love it or hate it, the Kardashians have cracked and leveraged every new platform and window of opportunity (a couple failed talk shows aside) to keep their brands constantly growing. Right now, there’s one sister who is taking her own brand to the next level. Enter the youngest – Kylie. Once the cute and timid sister in the Kardashian clan, the 18-year-old is now a full-fledged business mogul and cultural icon in her own right. Earlier this month alone, Kylie graced the cover of Ad Week AND Marie Claire and it’s largely due to the launch of her highly coveted makeup line – Kylie Cosmetics. 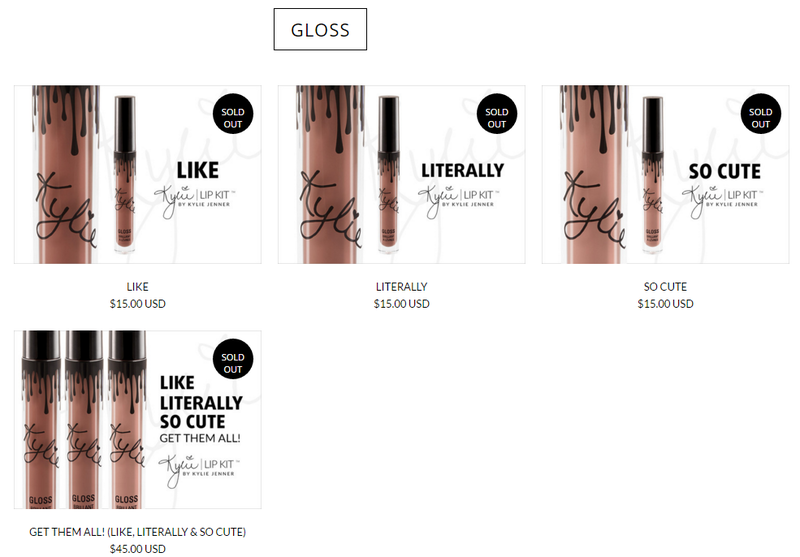 Sold exclusively online, Kylie’s lipstick, liner and gloss are the current “it” products to have. At least four of my co-workers have successfully ordered the likes of the “Dolce K” liner and “Literally” lip-gloss, which were admiringly gazed at and examined by everyone in the office. Every few weeks, hundreds of thousands of people flock to KylieCosmetics.com during a set window of time to be the fastest to push the “add to cart” button.